EcoCity Electricians Ltd are a locally owner/operated business who pride themselves on offering top quality workmanship and service. We are qualified and registered electricians with a real passion for working with people, and have a combined 20+ years in the industry. We offer a broad range of services, including maintenance, renovations, repairs, lighting, cabling and power. We are committed to providing Eco-friendly solutions to our electrical services and aim to minimise our carbon footprint by working locally, recycling goods and waste, and providing long lasting and efficient products. 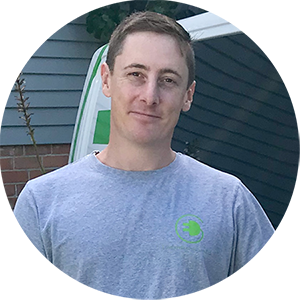 Tom is the founder of EcoCity Electricians Ltd. With over 15 years of experience in the industry, Tom has a real passion, not only in working with new people, but also with the technical side of his job. Outside of EcoCity, Tom enjoys spending time with his family and friends, and running in the Waitakere's. With aims to extend the range of his business this year, Tom prides himself on the ability to provide the best solutions to his clients' electrical problems. "EcoCity Electricians aims to continue to be known as a friendly and responsive company, with the capacity to take on more full house projects for clients and builders alike. If we can help you with your electrical needs, at home or at work, please give us a call!" Dominic began his apprenticeship with EcoCity in 2012 and has worked his way through his qualifications to become a highly valued member of the team. As an electrician, Dominic enjoys gaining new insights into current and leading technologies and introducing those to his customers in order to maximise their homes and business' potentials. Outside the workplace, Dominic is very passionate about kickboxing, aerial photography, and likes to spend time exploring New Zealand with friends. Dom aims to help move EcoCity into the future by broadening his product knowledge, maintaining his excellent relationships with clients, and increasing the diversity of the business. Jovan is one of the newest members of EcoCity Electricians, and has 10 years experience in the industry. As a Te Atatu Peninsula local, Jovan is active within his community, and aims to become the number one sparky in the area. Jovan is very much a people person, and prides himself in providing his clients with safe, reliable and well presented electrical work. Outside of work, Jo enjoys spending time with his wife and daughter, boxing, riding his motorbike and travelling. Jovan is committed to customer service and will go above and beyond to ensure his clients are happy. Hammond is the youngest member of the EcoCity team, and is in the second year of his apprenticeship. His favourite part of his electrical training is that he is constantly learning and doing something different every day. Outside of work, Hammond loves to spend time at the beach and go snowboarding. He aims to continue learning through his apprenticeship, and improve his skills as much as he can. Jason is the newest apprentice electrician for EcoCity Electricians. He has been in the industry for almost 2 years, He aims to get his qualifications and see some of the world!